It’s hard to believe that the year is almost over! 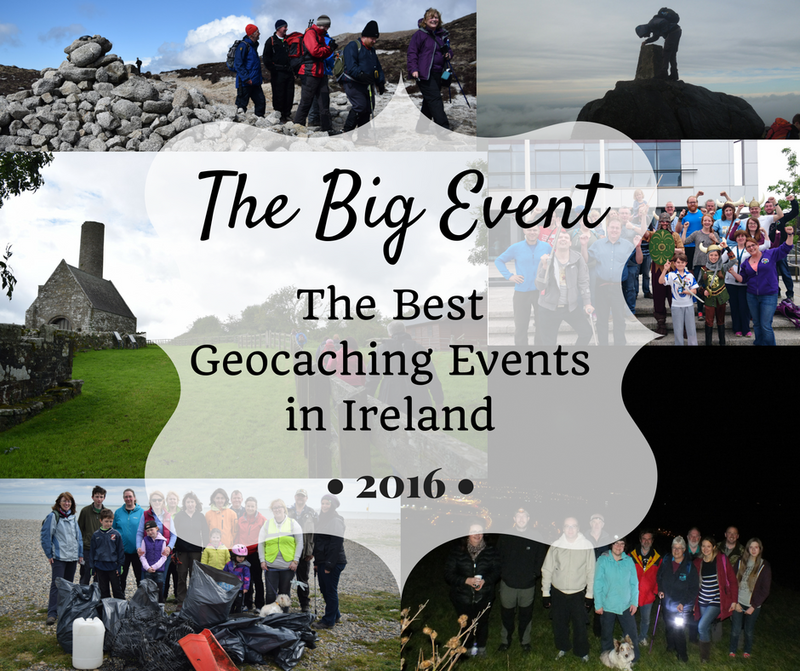 As always, the Irish geocaching community have been their usual social butterfly selves, with no less than 145 events over the course of the year, that’s up from 132 events in 2015. It’s a real testament to our ever-growing caching community. I asked people to share their favourite events and these were the ones that rose to the top! 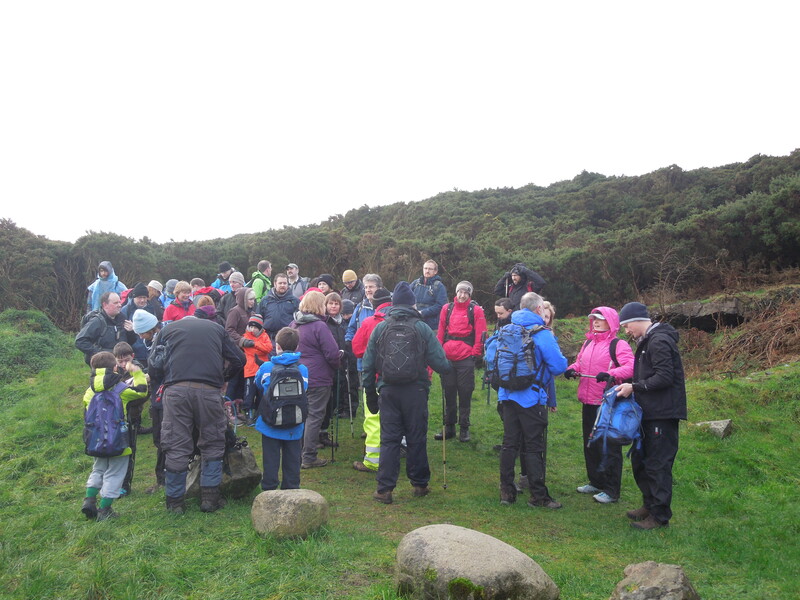 As always, the New Year was kicked off right with Donnacha’s New Years Resolution Event, this year taking place in the hills above Carlingford, County Louth. The event was well-attended, as usual, and I was disappointed not to be able to join in the fun. 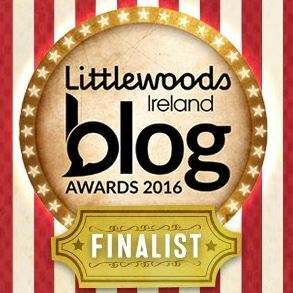 I am already looking forward to the 2017 event, which is planned for 14th January in Kilbroney Park, County Down. 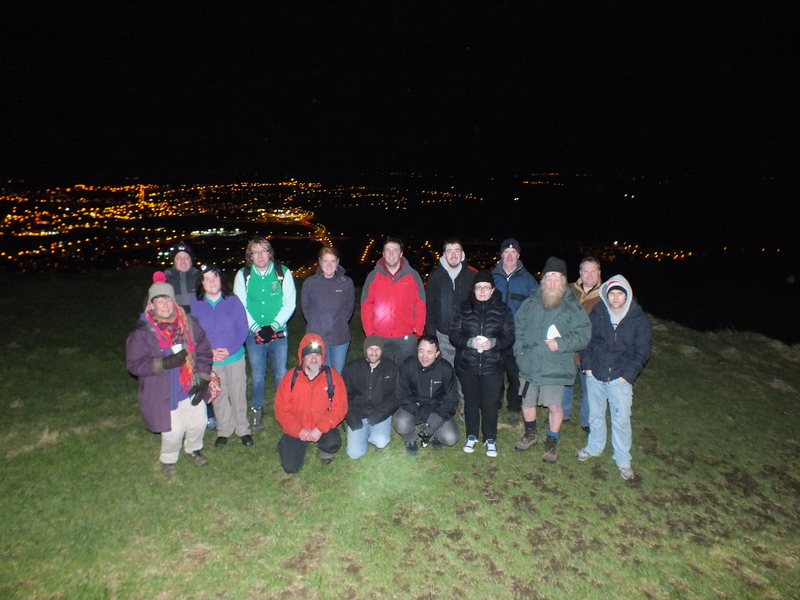 THE_Chris seems to be of the opinion, “if it’s geocaching-related and it’s not a touch insane, is it even really geocaching?” So an event at 7:15am in the pitch dark on a cold January morning at an ancient monastic site, seemed to fit his M.O. quite well. I was ‘lucky’ enough to make it to this event, questioning my soundness of mind as I left my warm cozy bed before 6am and headed in to the darkness. So I’ve decided he calls these events ‘insanity’ because attendees are usually left questioning theirs. As it always turns out, it was worth it to see the sun rise over the lake. In February, geocachers across the globe went event crazy for that most elusive of all dates: Leap Day. 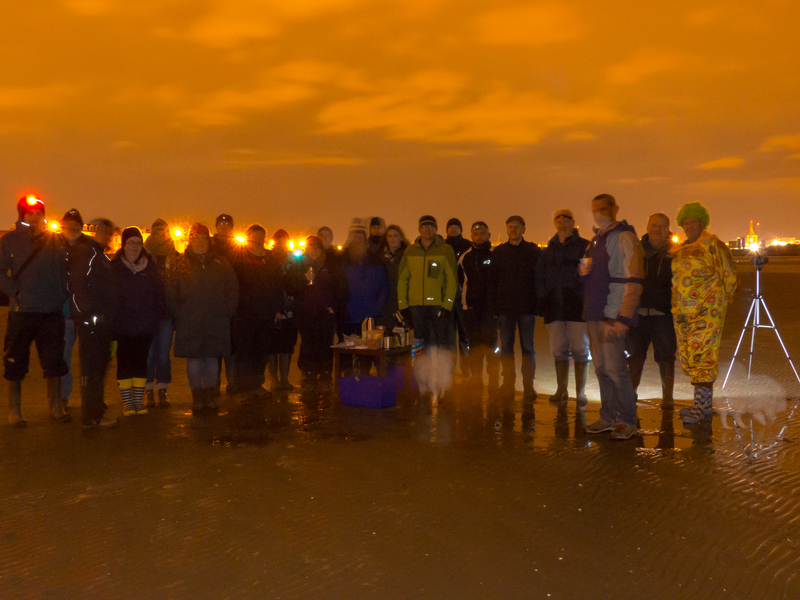 In Ireland, cachers hosted six events across the country, most of which were sane and civilised but of course, THE_Chris had to have his own brand of lunacy and host an event on the beach at 5am. I managed to keep check of my mental faculties and stay in bed, opting to attend the much more civilised Waiting for the Great Leap Forwards, GC66JYW. And yes, that is a clown in the above photo, in case you were wondering. 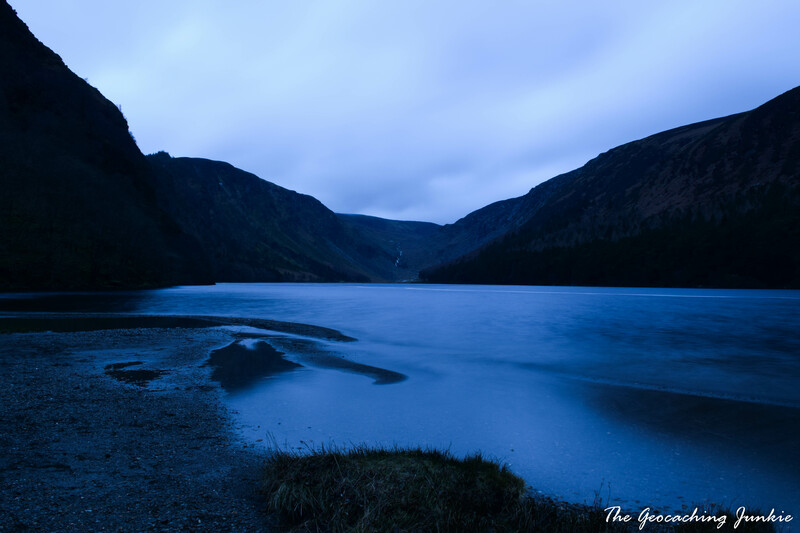 On Sunday 27th March, daylight savings kicked in and the clocks jumped forward 1 hour. 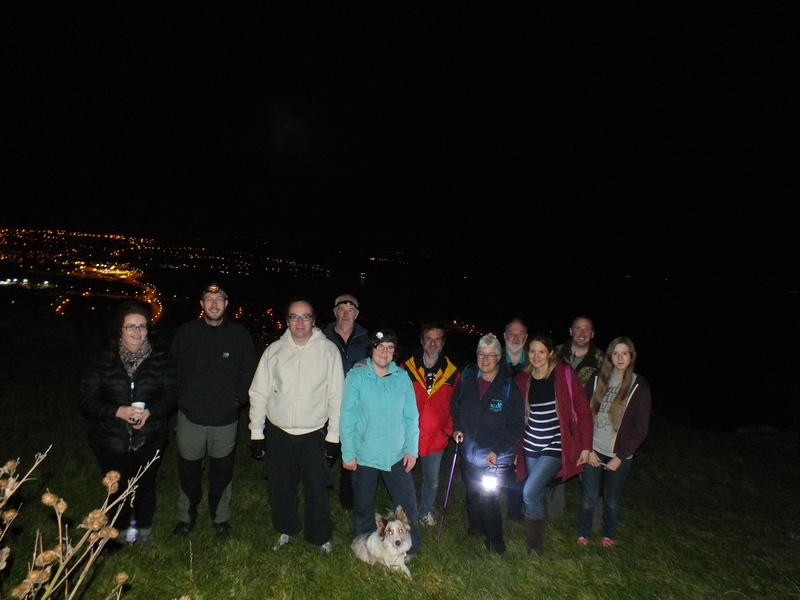 To celebrate, sgtzara hosted a time travel event at Scrabo Tower in Newtownards. 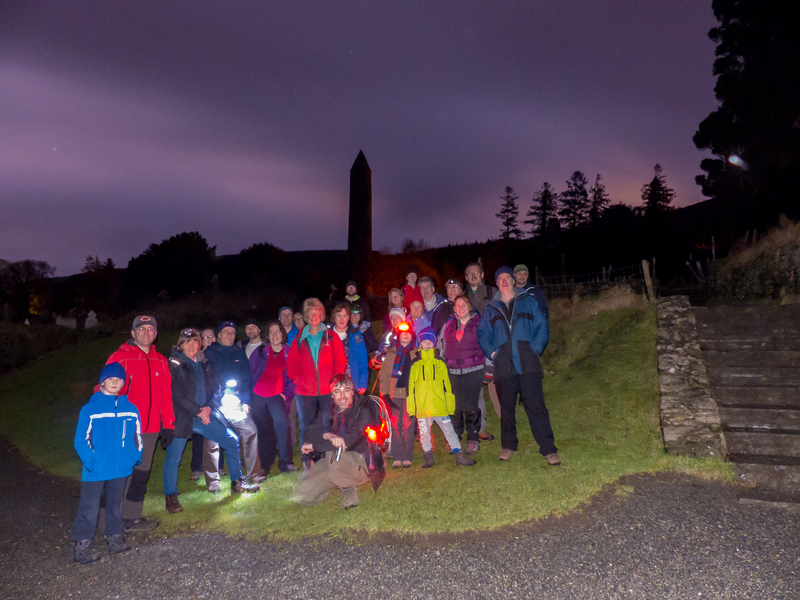 In late October, the clocks went back an hour so a group of cachers travelled through time again in the same spot. I really hope to make it to the next instalment, not least of all to see that spectacular view! 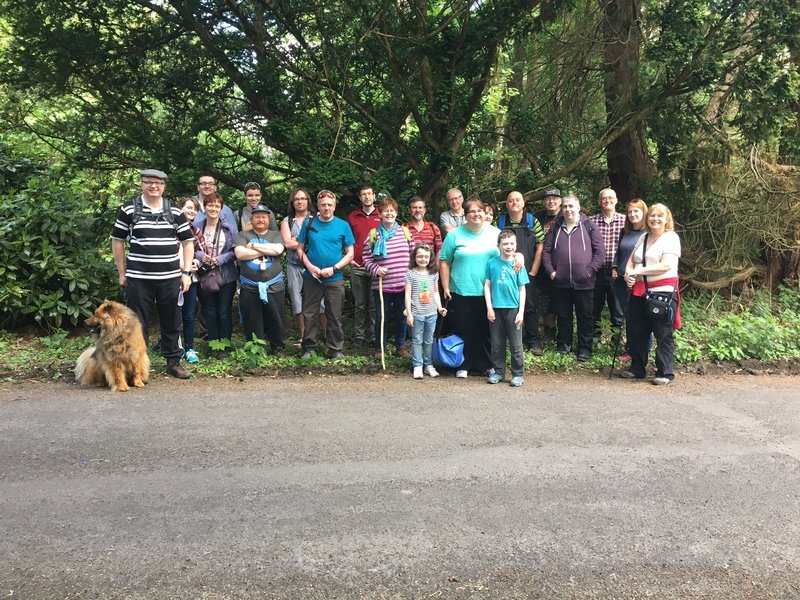 In April, one of our own got married so of course, a celebration was in order so Duck Tales & cep99 threw a geocaching hen party for andreabelfast! 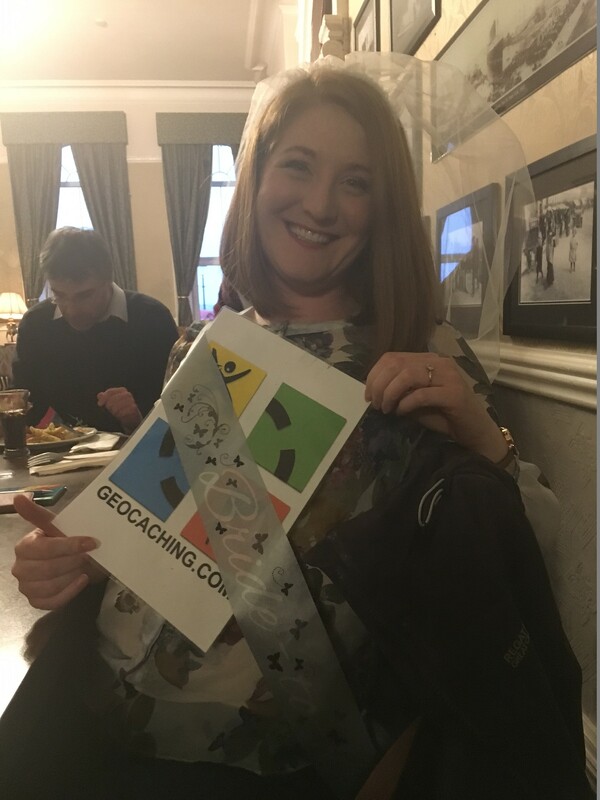 After some island wide coordination by the event hosts, they presented Andrea with a logbook of well wishes from the entire geocaching community. 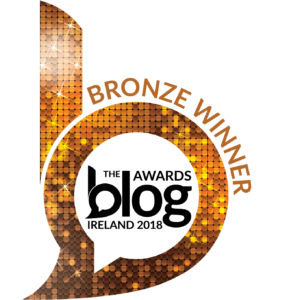 What an amazing way to mark the milestone! 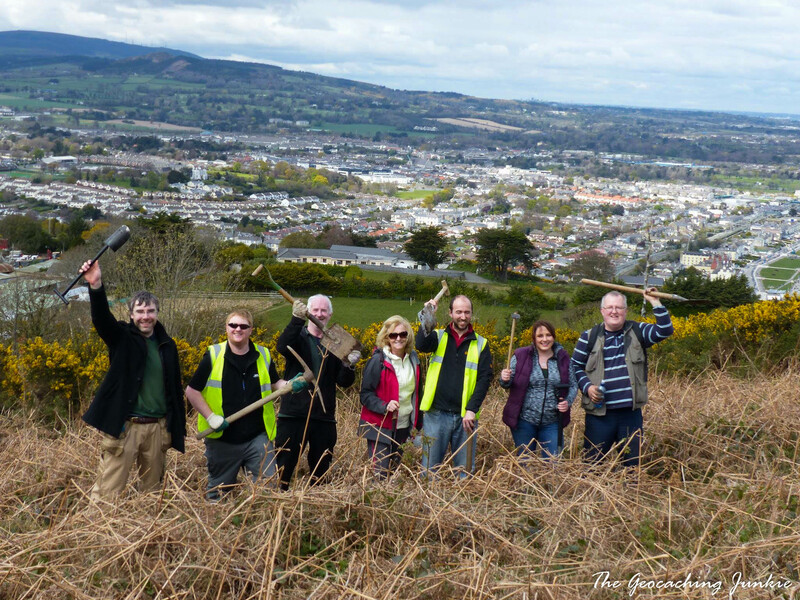 For the first CITO week of the year, I hosted an event in my hometown of Bray, as usual in conjunction with the voluntary group, Bray Coast Care, but this time there was a twist: half the group would be planting trees on Bray Head, home of Europe’s First geocache. This was a different angle on my usual clean up events and trojan work was done by the tree-planting group, as the ground wasn’t exactly welcome for saplings. 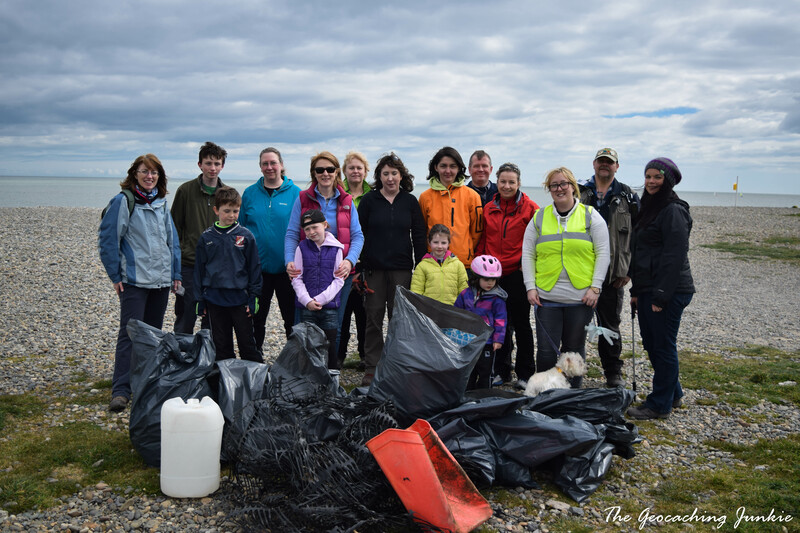 The other half of the group did great work litter-picking on the north end of Bray beach. 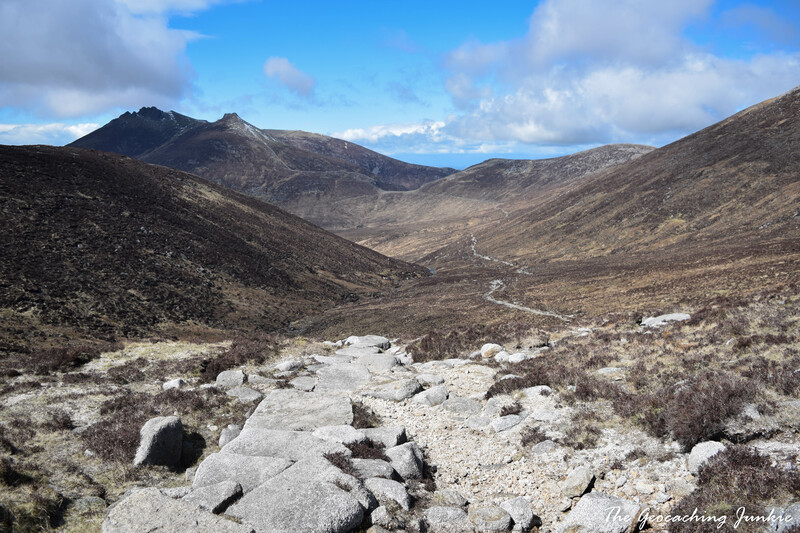 In April, over 50 geocachers gathered on the edge of the Mourne Mountains to follow the Brandy Pad walking trail, a route of 12 km with a maximum height of 500 m.
We experienced all four seasons of weather in one day, from clear blue skies to snow showers, and it was one of the toughest things I’ve done physically but I lived to tell the tale and it was definitely one of my best achievements of the year! Read more about the event in my dedicated blog post here. 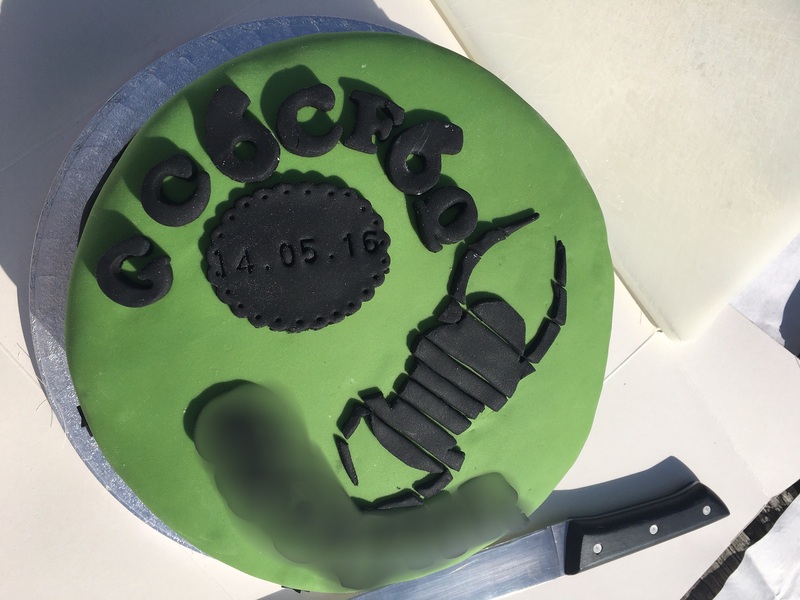 It may have been the lure of 20 new caches, it may have even been the very impressive trackable cake, but it was most likely the fantastic hospitality that brought cachers from all over Ireland to County Tyrone in May! 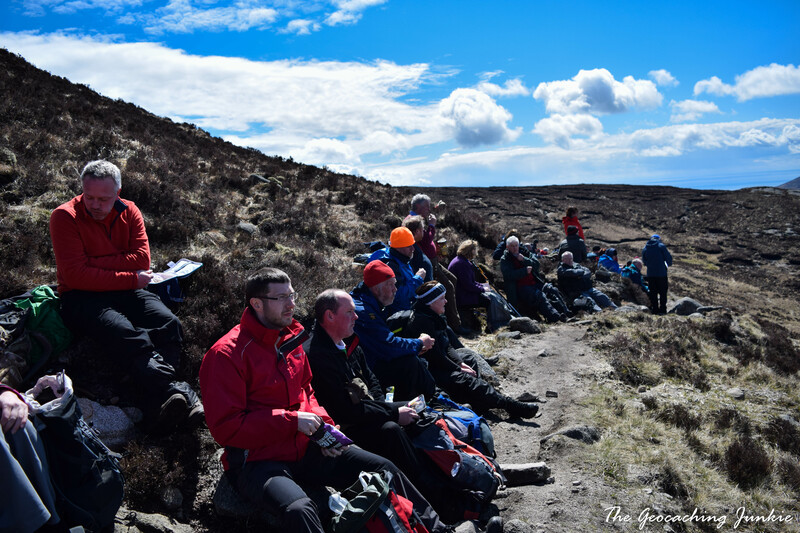 Even the weather was well organised for the day and great fun was had by all who made the trip. We had a dreadful day weather-wise for my second annual Groundhog Independence Day event, but that didn’t dampen our spirits too much and the turnout was decidedly better than I could have hoped for! 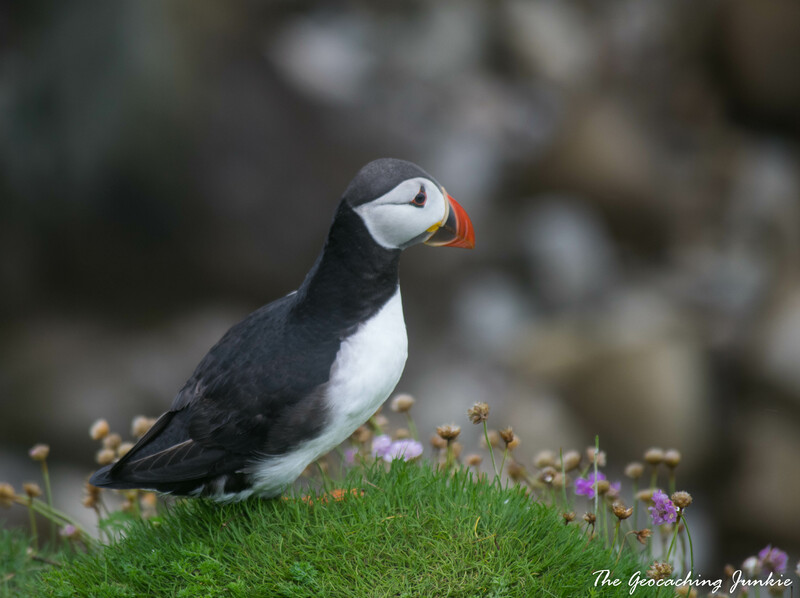 I am still considering where to hold this event next year – it’s hard to choose one island out of so many and it will be even more difficult to top the sight of puffins up close! 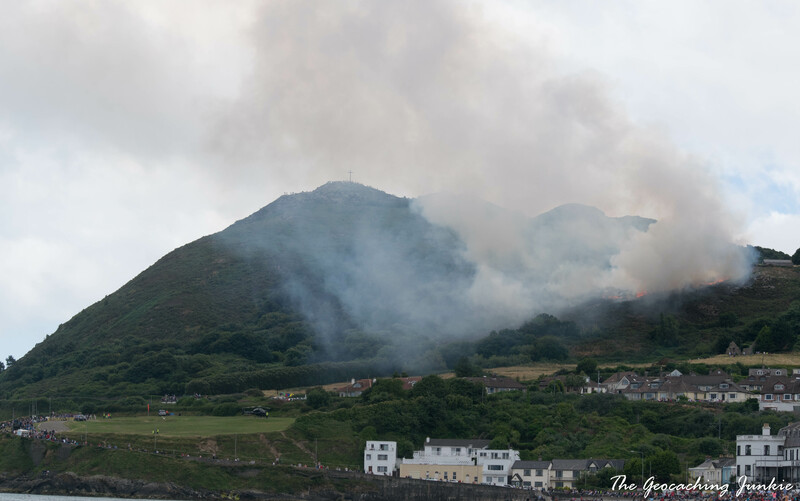 Eye Ash called this event, “Fire on the mountain air show”, which pretty much sums it up, as on top of the aerobatic display, we were witness to a huge fire on the nearby Bray Head! 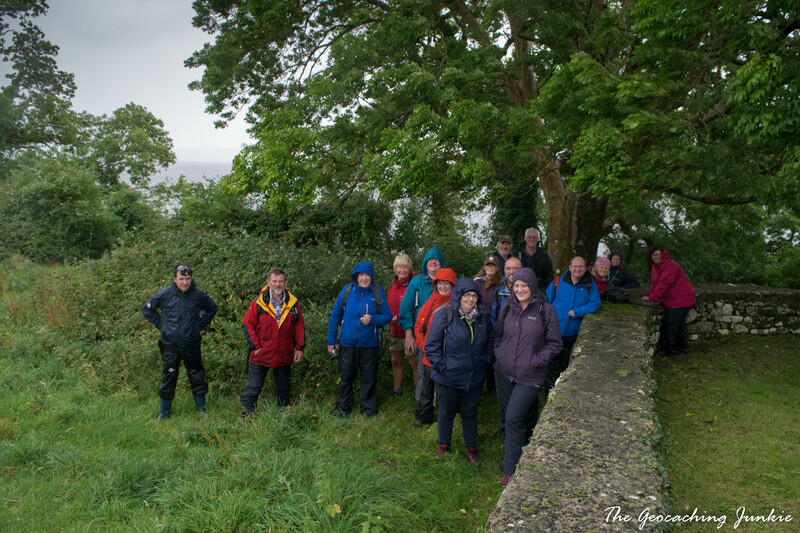 What is it with Irish geocachers going on boat rides in the rain? Well, a little bit of bad weather doesn’t usually put us off, which is just as well because otherwise we’d have like 3 days a year to find caches! 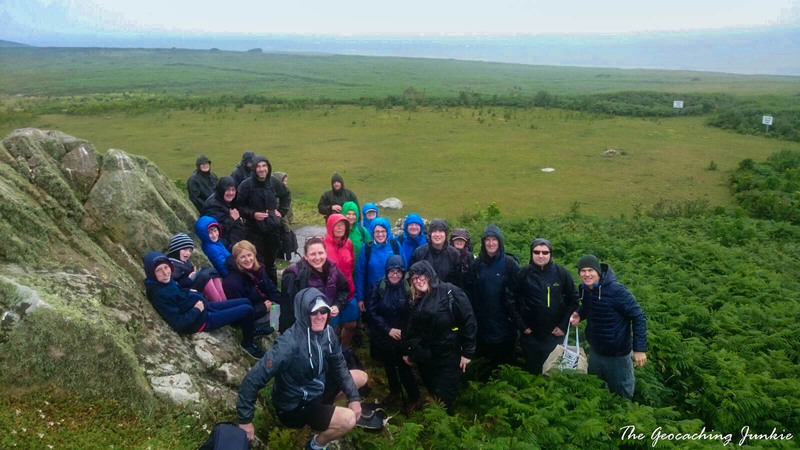 The short trip to Holy Island in East Clare was great fun, if not a little damp, but it wasn’t enough to dampen our spirits! 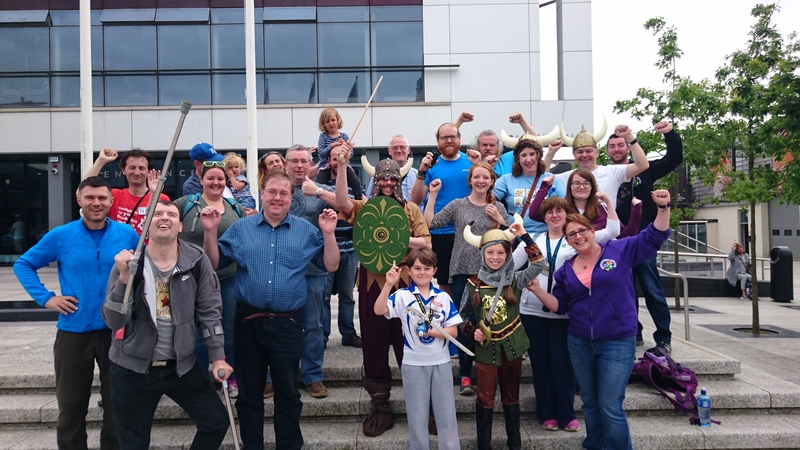 Peig hosted another Rebel Brek event and it was as amazing and well-received as last year’s offering in Kilkenny. The host was in full Viking garb and cachers raced around the city to be crowned the winners. I really have to make it to this next year! 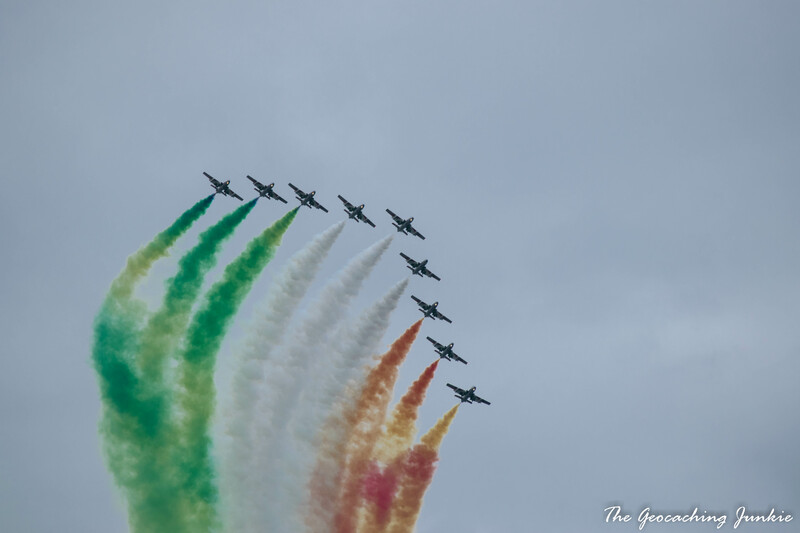 The above are just a small fraction of the terrific events we are lucky enough to attend every year in Ireland. 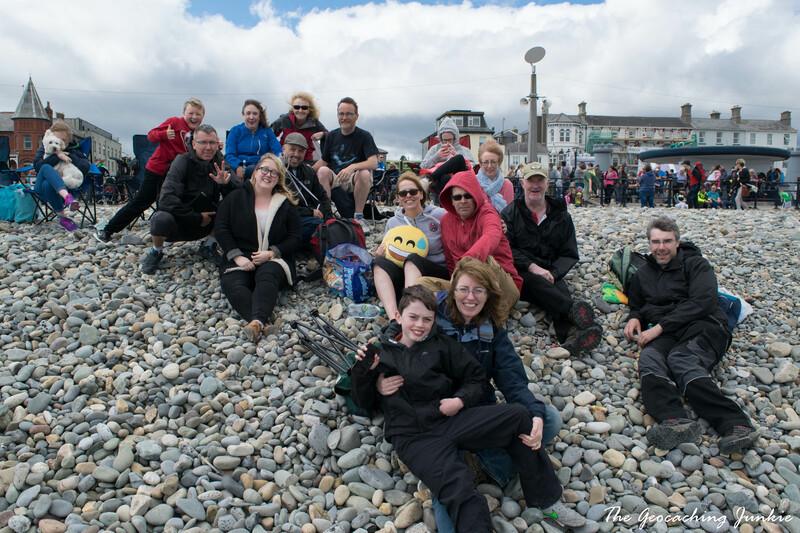 Every event from meet & greets to coffee events all the way to intricately planned treasure hunts, they are all great fun and a chance to meet up with friends. If you haven’t ever attended an event, don’t be afraid to give it a go – you’ll be sure to meet some great people and will probably have a whole heap of fun too. 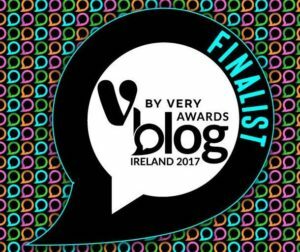 If you happen to be in Ireland, be sure to check out the Google calendar pinned to my blog homepage to see what’s coming soon! Have you attended any great events this year? Let me know in the comments! Sorry if you have already received reply but my previous one seems to have disappeared. 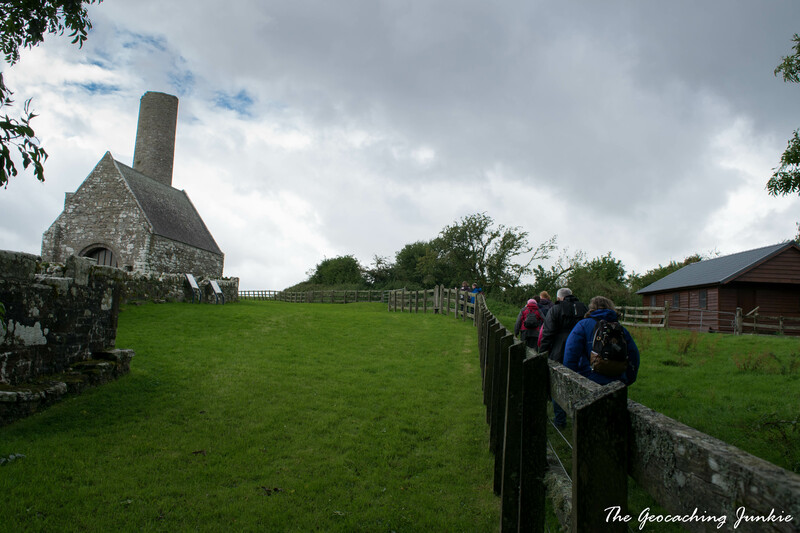 I attended my first event in October at Time Travel at Scrabo Tower. 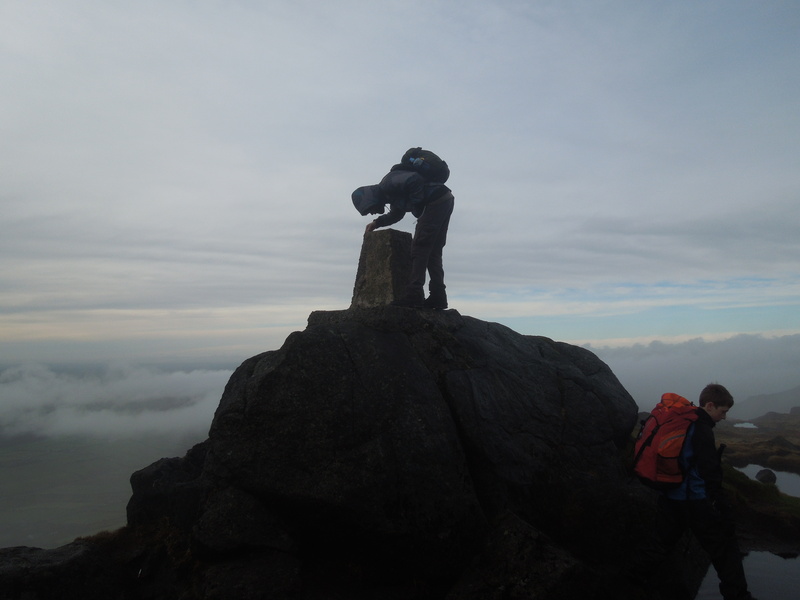 At the time I thought I was mad being up there at 01.00am but where else would you have the opportunity to do something like this but through geocaching. Just One More Present on Christmas Day at 8.30am was another good one. Coffee, mince pies, crackers and Secret Santa great fun. New Year’s Resolution 2017 is next. Happy New Year. It’s me again. How do I find your blog homepage to see the Google calendar with events that are coming up, please. I hear about some from geocaching.com but unless I look through town by town on geocaching.com I don’t see them. Thanks. Found it, I didn’t scroll down far enough. Thanks. One of these days I’ll understand all this technology malarkey. ?